With wide expertise in this domain, we have come up with a remarkable gamut of Micro Tubes. These tubes are manufactured by the experts using superior quality raw material and advanced technologies at our production unit. 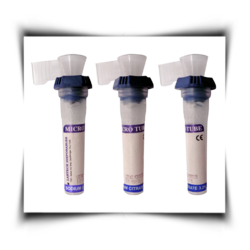 Post production, these tubes are tested on varied parameters to ensure there compliance with international quality standards. Our offered range of micro tubes find their wide application in various medical and health care institutions. Additive : No Additive Specially designed for pediatric sampling. 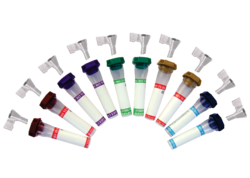 Additive : Sodium Flouride & EDTA Potassium salt Specially designed for pediatric sampling. 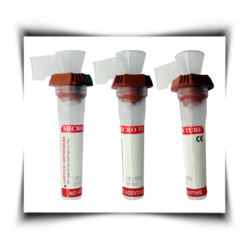 Draw Volume: : 1 ml Centrifuge for 10 minutes after blood coagulation. Additive : 3.2% Tri-Sodium Citrate - 0.109 mol/L Specially designed for pediatric sampling. Additive : Lithium Heparin / Sodium Heparin Specially designed for pediatric sampling. Looking for Micro Tubes ?